University of Exter Professor Paul Ernest has a new book out, The Philosophy of Mathematics Education Today, which includes a chapter called, “The Ethics of Mathematics: Is Mathematics Harmful?” In it, he raises some compelling questions about mathematics education as it stands and its effects on students. Ernest is quick to acknowledge the good that comes from learning math both for the individual and society and spends quite a bit of time expanding on this idea. a means of gaining certification for entry to employment or further education. However, Ernest pivots to talk about his concerns with regards to our methods of mathematical instruction, which emphasize objective truth without much thought to the implications of the application of that truth. …Mathematics has been recruited into systems thinking instead of empathising and separated values of connected values that dominate western bureaucratic thinking. It also results from the way mathematics serves a culture of objectification, termed a culture of having rather than being by the critical theorist. …Instrumental reason is the objective form of action or thought which treats its objects simply as a means and not as an end in itself. It focuses on the most efficient or most cost-effective means to achieve a specific end. For anyone who has worked in a corporate structure, particularly one where mathematical reasoning is emphasized, whether in a financial context, computer science, or engineering, you will undoubtedly know what Ernest is talking about. More on that in a minute. Several conservative pundits today have taken issue with Ernest’s writing, in part because of a problem they have with him promoting gender equality in mathematics. That critique aside, I was fairly surprised to see additional criticism of the main thrust of his conclusion, which is that ethics training should complement mathematics education. In the abstract, Ernest recommends “the inclusion of the philosophy and ethics of mathematics alongside its teaching all stages from school to university, to attempt to reduce or obviate the harm caused” — but I really don’t think this is necessary. Some things in life are objective and rational, and that’s perfectly okay. The idea that learning about something that doesn’t involve emotions would somehow make people emotionless overall makes absolutely no sense. After all, there are plenty of things we learn as humans that are strictly practical. For example: I learned how to brush my teeth without any sort of discussion about ethics or feelings whatsoever, and I continue to brush my teeth without having any feelings about it to this day. I wish I could agree with author and Fox News contributor Katherine Timpf that mathematics and tooth brushing are somehow equivalent, but the comparison falls flat for me. She admits in her article that she does not like math, so perhaps she considers them both as chores to be endured. Setting aside the intrinsic beauty of mathematics, there’s only so much good or bad I can do to even myself when brushing my teeth. The same is not true of the study and application of mathematics in terms of the impact I can have on myself and especially others. Let’s look at the idea of mathematical reasoning more broadly to include not just mathematics but the tightly connected disciplines of computer science, engineering, and finance. There are so many examples of practitioners behaving badly that I could go on for quite some time, but I’ll limit myself to just a few famous examples. 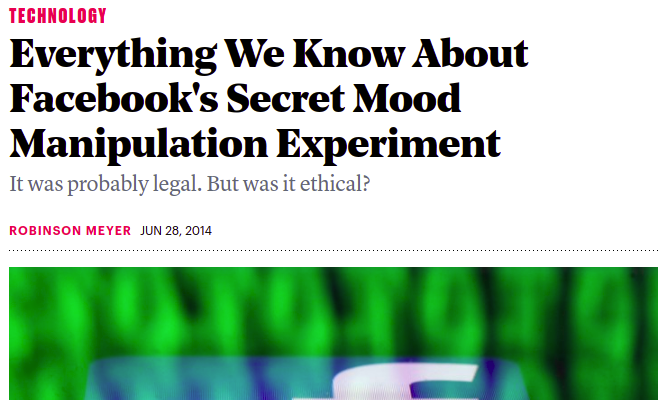 In 2014, Facebook ran an experiment, manipulating the feeds of users to see if they had the ability to make some users happier and some sad. It turned out that they were successful at making people both happier and sadder. Why would Facebook want to make someone feel worse? As is often the case in mathematical disciplines, someone probably just saw it as an interesting problem to be solved. In 2016, researchers for Open Science Framework researchers used computer algorithms to scrape tens of thousands of OKCupid dating profiles to make them available as one large research data set. They then released this data publicly to allow others to conduct their own research on this very personal data. While a number of professionals in the general research community cried fowl, the men who constructed the data set did not see the problem and left it up until OKCupid filed a DMCA takedown notice. In 2018, Google announced that their AI voice technology had advanced to the point that it could now make calls to human beings to schedule appointments. This bot not only made no attempt to disclose that it was a computer system to its human counterpart, it disguised this fact with vocal tics like “ummm” and “aaah.” After significant backlash, Google quickly announced that it would have the bot announce itself when placing calls. In 2017, ProPublica did a study to look at the machine learning practices of the auto insurance industry. They found that the computer models that had been built by actuaries and data scientists ended up charging people in minority neighborhoods significantly more when adjusted for the risk and cost of accidents. The practice of using geography as a proxy for race is prohibited and known as redlining. This is the tiniest fraction of stories of STEM behaving badly, and there are undoubtedly so many more we don’t yet know about. I could have made a full blog post on Uber’s ethical troubles alone. It’s true that ethical breakdowns are present in every human workplace, but I think there’s something different about many of these STEM breakdowns. Often, the person doing the work is so driven to solve the challenge, they become blinded to the ethical dilemma right in front of them. 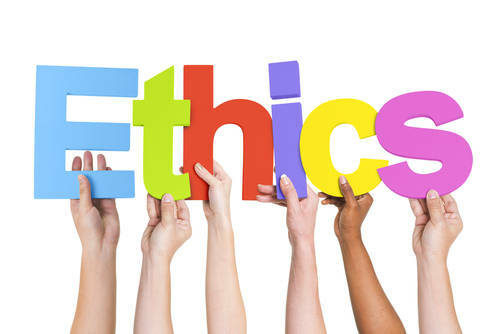 After just a few years working in industry, I’ve seen how often these ethical dilemmas come up, and I know what the typical approach is. Time and time again, the response isn’t “Should we do this?” It’s “Can we do this?” This is the beauty and the curse of mathematics. This is the point that Dr. Ernest is making. Can a Kindergartner Complete “The Hour of Code”?